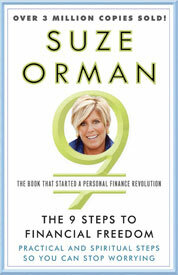 Giving Away 3 Copies of Suze Orman’s New Book! With a new preface that reflects personal finance today, New York Times bestselling author and leading financial expert Suze Orman shares a refreshed version of The 9 Steps to Financial Freedom, the revolutionary, groundbreaking classic that changed the way we think, feel, and act about money. Unlike traditional money management books, 9 Steps approaches money from an emotional and spiritual point of view, emphasizing that fear, shame, and anger are the main obstacles to wealth. In nine simple steps, you’ll learn all you need to know to be responsible with and respectful of the money you have and the money you don’t have. Embrace Suze’s groundbreaking philosophy—that you are worth more than your money—and understand the true meaning of wealth so you can live a life without regrets. If you do not have control over the money in your life right now, Suze’s nine steps to financial freedom are for you. Put your answer in the comments below, and we’ll Random.org three lucky winners this Sunday, May 13th (Mother’s Day!). So make sure your answers are in by midnight that night before. GOOD LUCK!! Hope those of you who need it the most wins! And for those who can’t wait, you can buy it on Amazon right now for around $11 bucks it looks like. To financial freedom! Financial Freedom is when you know longer care about money…You have enough assets to live without having to work (or work for the man at least). To me, financial freedom means paying my bills on time every month, not having to beg or borrow, and having a decent cushion to fall back on in case the unexpected were to happen. Financial freedom means I won’t have to work for someone else. I can work on my own things instead of enriching some corporate VP. Financial Freedom is the ability to do things on my own terms when and how I see fit. More importantly, it is being established financially so that my family does not have to worry should an emergency pop-up. What does financial freedom mean to me? It means living in the moment and being fully present for my children, physically. spiritually and mentally. Financial freedom is making enough money to cover my expenses and live comfortably, retire at a good age. Financial freedom means being able to live comfortably within my means and not have to worry about bills or the unforseen emergencies. To me, financial freedom represents choice…I can choose to live a life that benefits me and the ones I love, as opposed to working to pay others and putting off my dreams. I love Suze’s advice and would love to win a copy of her book. Thanks! Financial freedom means that nobody can put their thumb on me and tell me what to do anymore. Financial freedom means being in control of my finances, rather than my finances controlling me. Financial freedom means being able to meet my bills each month, and not live paycheck to paycheck. It means not worrying about where the money is going to come from if something breaks, when the kids need clothes, or we want to take a family vacation. It means not having to worry about Christmas funds or how we’re going to throw a birthday party for one of our kids. Financial freedom means that I don’t have to have money as the most important factor (or even one of the most important factors) when I make decisions. To me, financial freedom means not being a slave to anyone else — lender, creditor, or employer. It means having no debt and being able to retire at a reasonable age. To me, financial freedom means having enough in the bank for emergencies and cash on hand if I want or need it; being debt-free; and having less stress as a result! Financial freedom means being able to keep the thermostat at a comfortable level. Financial freedom to me means being in control of my own time and destiny, and not being tied to a job or a lender. Financial freedom is having your bases covered (retirement, savings, bills) so you have the ability to spend money on your priorities in life–which could be fancy shoes, college education for your kids, or $4 bars of chocolate (my personal favorite). It’s also paying off your credit card every month easily because you can afford your lifestyle! To me, financial freedom is not having to worry… about anything. Not owing anyone (or any company) anything besides a recurring bill (a.k.a. utilities, etc.). Keep everything current. Treat the credit card like a debit card – if you don’t have it in the bank, don’t put it on the card. It’s really not as hard as it sounds. It means taking a sick/personal/just because day when you don’t get sick/personals days but you aren’t worryied about losing the pay. It means not having to work unless I want to work for the enjoyment of it. It means to be able to live comfortably, buy things as I wish, and also can retire earlier. For me, financial freedom means not depending on anyone or anything besides myself to provide for my needs. That means no debt and just enough salary to support a reasonable lifestyle. Financial freedom means being able to achieve my life dreams without having to stress over paying for them. Passive & portfolio income exceeding monthly living expenses. In other words, work becomes optional! Financial Freedom is when my divdend income, side gigs, and business income cover my expenses so that I can spend more time with family and vacation 3 months out of the year. To me, financial freedom is not feeling obligated to do (or NOT do) anything because of money. For instance, not having to stay in a job I hate because of the $, not saying “no” to a get together with old friends because I don’t have money to spend. financial freedom means to be able to spend money on what is important to you, without any difficulty in conjuring up the money. For me…Financial Freedom means having an emergency fund for life’s “moments”, making enough $ so I don’t have to rely on anyone for my needs and wants and having a few opportunities to enjoy life with family and friends. Financial freedom means not being tied to an income. Financial freedom for me is being debt free, paying for things as I go, having enough money in my emergency fund so I dont freak out when one happens, retire with plenty of money to do what i please. Also to make enough money on my side business so that i can quit my office job. Financial freedom means being able to sleep soundly at night, rather than waking up in the middle of the evening in a state of panic as to how we’re going to be able to pay the bills. Been there, done that, and I’m never going back. Financial freedom means, in my opinion, that I have enough money to live comfortably while still being able to save for future unexpected expenses and retirement. It also means that I have not devoted my life to making money for the future. That is what financial freedom means to me. It means to have a handle of my life without feeling that I am being tied down by my creditors and not being able to live pragmatically and financially secure as I want to live. I want to someday say that my Mastercard isn’t my master anymore! Financial freedom to me means not having to worry about where the money will come to pay for my son’s school or after school care… which is a constant worry! Financial Freedom to me means not having to worry about finances, about whether or not we will be able to pay the bills. That we don’t have any debt and that I can go dirtbiking whenever and wherever I want. Being able to provide for all of my needs and some of my wants…and those of my husband and newborn won. Currently trying to add to that…paying off credit card debt and paying cash for what I used to pay with my credit card. FF is when you have enough money to live the lifestyle you want to live. Being able to provide for my family in a way I was never able to. Financial freedom doesn’t mean not budgeting, but budgeting exactly as you want and still having plenty for savings and investing. Financial Freedom means I can realistically retire at age 67 with no debt – no mortgage, no home equity loan, no credit card balance. It means having an actual savings account. To me, financial freedom means the ability to take all those opportunities that I always have to say “I wish I could do that” but I’m not able to because I cannot afford it. Financial freedom would mean unlimited passive income, and the ability to do or have anything needed or desired that requires using money. I’d like to win this book for my husband. As a young adult just out of college, working full time and going to grad school part time, financial freedom really hits home. To me, it means that one glorious day I finally pay off all of my student loans, and my car payment, and have enough money saved to start looking to buy my first home. Financial freedom is the the educated control over your money that requires little worry. Financial freedom means more opportunities to enjoy love and be a blessing to others! Financial freedom to me means breaking the cycle of bad money management I grew up seeing my parents demonstrate, being FREE from the constant worry and stress of making ends meet and hoping their checks don’t get cashed too soon. Living through that stress inspires me to try harder to control my money instead of the other way around. 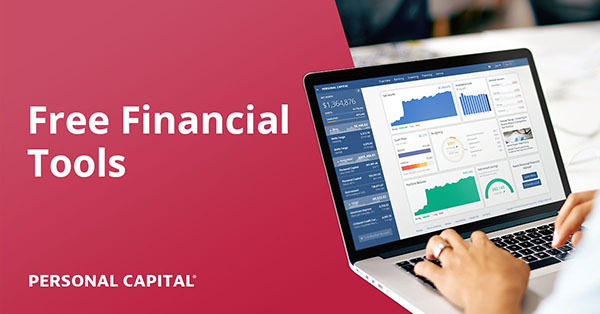 Financial freedom for me is having the necessary tools to manage my money. Financial freedom for me would mean just that…CHOICES AND FREEDOM!!. My financial faux pas keep me tied to working when I want to be a full-time writer and be at home with my children. I want the freedom to have the flexibility to spend my days in ways that delight me instead of how the day has been dictated to me by my employer. I am grateful to have a pretty wonderful job in this economy, but financial freedom would be AWESOME!! Financial freedom to me is having enough money to where I can weather a bad downturn and still live off the interest without worry about running out of money. Don’t know if I will ever truely make it there, but it is a nice thought. Freedom to stop saying “No” to my girl friend! Financial Freedom to me means not having unproductive debt and the luxury of having as much “free” time as I please. Financial Freedom means owning that RV and being able to travel the country when I retire, debt free! 1. Being out of debt. 2. Owning my own home. 3. Being able to retire on time/early. 4. Putting my kids (that I don’t have yet) on the right path towards Financial Freedom. 5. Not having to worry about being able to pay the bills if something goes wrong. Financial freedom is the peace that comes from understanding your finances and how they affect your life, believing in your worth, and investing in your future. Financial freedom means having enough money to enjoy life. To be able to enjoy life, you need enough money to pay the bills, contribute to/build savings, and have enough money to do all those little things (like eat at a restaurant, go to the movies, take a trip) that make life more fun. Financial Freedom mean “feeling a sense of peace” – because you are able to live within your means and not spend more than you make. You are able to enjoy life each day, not worry about if you will have food on the table, make your mortgage payment, pay all your bills and have a little extra for “discretionary” items. Financial Freedom means you do not have to stress out when you open your bills and realize that you can’t afford them. Financial Freedom = Financial Peace! By the way….I love your blog! Financial freedom to me means choice. The ability to choose to work or go wherever I want on vacation etc without money being an obstacle to achieving those things. Financial freedom is having enough money to live the life you want to live without worrying about how you will pay the bills. It means being able to do the work you love, not being stuck doing work you hate simply for the paycheck. Begin able to do what I want, when I want. Financial freedom…bills paid, cushion in place for the unexpected, some fun money to play with! Right now, it means no student loan debt. Overall, it means having the funds to deal with an emergency, own a place to live and means to get around, buy good food, and travel–for myself, my significant others and a future family. To me it means not having a mortgage and the ability to go out and buy something without having to count my pennies first. Freedom to me is being able to go anywhere in the world at anytime and still feel secure with my finances and income stream. The ability to do what I want and bless other when I want without having to worry about the financial impacts or hardships that might happen. Having no debt and enough passive income (dividends, bonds, and rental property primarily) to be able to take or leave any job I want. Having said that, I’m a pretty big Suze hater and I doubt she’ll have anything new in this book that hasn’t been published by her and every other big name financial writer. One of the reasons I love PF blogs is that they’re always fresh, and I’m often more interested in the personal experience of the writer than some blah generic advice that’s being rehashed just to make the author another buck. Financial freedom means to me never having to borrow money and having fun with life. Financial freedom means being able to fully utilize and understand all things “financial” and make them work for me, versus me working for it. Having the ability to do things outside of the norm and figuring out what makes the most sense for me and my life. And being able to help others in the way that’s best for me, without having to fit within the confines of “financial stable” environment, to do so. To me, financial freedom means having enough money to live the life you want. Financial freedom and financial independence means that I can choose my work. I have enough money to live without working. I would still want to work part time bi would choose very differently from what I’m doing now! To me, financial freedom means no debt plus hefty savings in retirement accounts. Hoping to get there! Financial freedom, to me, means not being a slave to your debt. No consumer debt or student loan debt. Financial Freedom means peace and serenity for me. After working 30 years I was laid off permanently due to a factory closing. Luckily for me I was able to endure 10 1/2 months of being unemployed. Financial Freedom for me is less than two years away-I will pay off my mortgage and auto loans then and have no debt. Then, I can over-stuff my retirement accounts!! Financial Freedom to me is the ability to control what I spend my money on and being conscious of living within my means and not living to please the world. It means working to build a future and understanding that I can’t get everything that I want. I’m not the biggest fan of Suze Orman, mostly because she addresses a lot of “casual” things on her show (like telling a kid he has enough money for an x-box…really?). As far was what Financial Independence is to me, it means not having any serious debts anymore. It means having a credit card, but abusing the good parts and not having to worry about the drawbacks of it. It means having a house, but not having any payments on it. Financial Freedom for me means peace and clarity. Having no debt and a large amount in savings equal financial freedom for me. I have tried to achieve this for 15 years with no success. I am hoping this book with help me get there. Financial freedom is not looking forward to your next paycheck. Also, having little to no debt and not letting your finances keep you from doing anything! Financial Freedom? Being able to pay for my wants and needs in cash. Ohhh, to not have to borrow money! Financial Freedom means that I won’t have to worry about how much money I have on an hour to hour basis the ability to wake up and know I don’t need to check my account balances would be a huge burden off my shoulder. Financial Freedom to me is having the resources on hand and readily available to pay your debts on time, and the debts you do have are paid in full, per statement, with no interest accrued. Financial Freedom is to be satisfied by your self-sufficiciency. Financial freedom means I have the freedom to make decisions that are best for me and nit choose based on fear. I will know I have the funds to deal with life’s emergencies as they arise without having to play scary money games. I am a long way from this right now, but even so, I’m closer than I ever have been. Financial freedom is being able to live comfortably, without having to worry about how much money you have after paying all the bills, and still having enough money to buy and do the things you want in life without regret. Financial freedom is having enough money in savings to weather through the emergencies that life throws at you, and still come out positive in the end. Financial freedom is not living paycheck to paycheck as you’re shackled by the monthly payments of credit cards and student loan payments, and actually having an increase in your savings after all is said and done. And I think most of all, financial freedom is not worrying that you’ll have enough for retirement, and knowing for sure that you will, regardless of when that actually is. Financial freedom means I have the money to choose my own lifestyle. Financial Freedom, when I no longer have to budget. It means I can quit working for money and work for something I’m passionate about even if it doesn’t pay a lot. for me financial freedom is the fact that i don’t have to wory about money. I still haven’t enough that i can stop working. But i’m free from worries abount money and i’m able to do with my money wathever i wan’t. Financial freedom is controlling my financial destiny and not being dependent on a job or my spouse for finincial sustenance. Financial freedom would mean having the means to take care of myself and my family without looking for outside financial help. I’m on my way to supporting myself, but a long way to go before my family (especially my parents) is covered. To me it means being able to balance your finances and not have to work constantly to make payments. Living in your means and being happy there. Financial freedom is getting a handle on my spending, and not feeling like I have to own things in order to be “rich”! Financial freedom to me is to have more income than outgo, to have the ability to not only help my family and friends in time of emergency but to be able to “treat” them in times of celebration, and to own the power to tell my employer “No”. It means the difference between doing what I love & just earning a salary. Financial freedom would mean I could take a day off and not feel guilty. It means that I don’t have to work unless I choose to (which I definitely would) and not compromising my career choice due to financial consideration. It means I don’t have to worry about my income and paying bills. It means I’m Free to choose how to spend my day, my week, my year. To be financially stress-free. Financial freedom means being able to separate what you do from making a living. Financial freedom is to owe nothing to anyone, yet owe everything to your family, your God, and your country. Financial Freedom to me is when I don’t have to enter contests for a book that discusses the 9 Steps to Financial Freedom. Until then, here I am. For me, financial freedom is freedom from debt and freedom to put my money to work for me. We’re investing and paying down debt now, but I’d love to be able to put more money away for retirement and for travel/fun stuff. Will be announcing winners soon – thanks for participating all! And good luck!! Financial freedom would allow a security in paying any debts incurred and provide an avenue where i could give my time to organizations that contribute towards the good of the whole. It would allow me the freedom to travel to where there is need for helping others that have experienced a natural disaster. Financial freedom means being able to provide for your loved ones and not wanting for anything. My goal to be financially free would include ridding myself of the high interest credit cards that bleed my resources everyday. Being financially free means standing on my own two checking and savings account without the dependence of family, especially at my middle age. Practising financial freedom fully, I hope, would assist me to take control and break a lifetimes habit. Financial freedom is when you are in control of your money and your money is NOT in control of you.